Also known as the “Blue Beach”, Hiriketiya remains off-the-radar due to its small size and remote location. The clear blue water is shallow and protected by two headlands and is great for a refreshing dip. 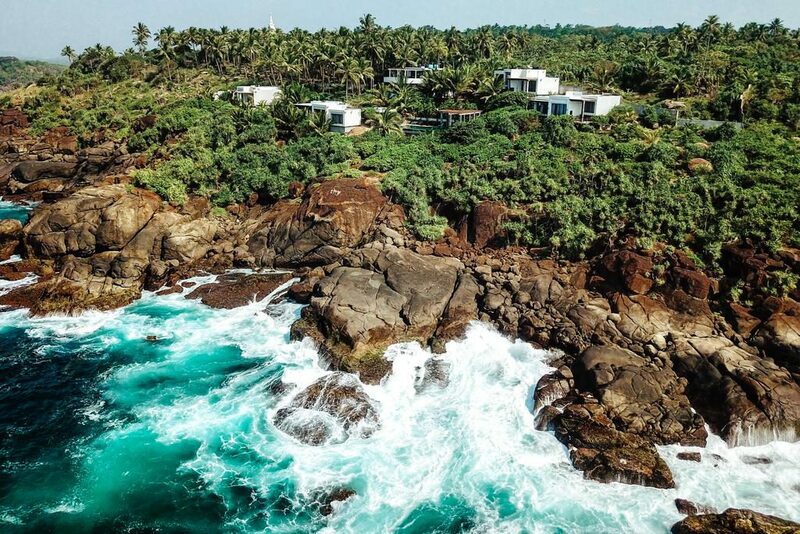 This secret clove is now rapidly becoming more known as Conde Nast Traveller has named it the latest nomad hotspot in Sri Lanka. Getting there: Hiriketiya is only a kilometre or so from Dickwella. A tuk-tuk ride from Dickwella is the easiest way to visit the beach. You can also catch a regular bus from Matara/Tangalle from around 6am until 6.30pm as all pass through Dickwella. The beautiful beaches in Matara can be overrun in the peak-season but Polhena is a charming sandy cove and, surprisingly, never too busy. An offshore reef barrier stands like a giant to protect Polhena from rough waves. Thus, the sea is super calm and shallow. The vivid-blue-green of the water against the golden sands create picture perfect moments. Interestingly, the beach is dotted with tiny pieces of corals that wash ashore every now and then. Polhena is an idyllic spot for snorkeling to discover its kaleidoscopic spectrum of vibrant tropical fish and corals. The beach is extra quiet on weekdays. Polhena is one of the safest beaches for kids. Getting there: Polhena is a 2km drive from Matara town. A tuk-tuk ride from Dickwella is the easiest way to visit the beach. Or else, you can simply drive on your own. The easiest route is via Sri Dharmarathna Mawatha and Colombo-Galle-Hambantota-Wellawaya road. The silver front-yard of the northern peninsula of the island, Casuarina is just a 45-minute drive from Jaffna’s busy centre. The beach is aptly named after the pine-like casuarina trees that line the shore. On a random weekday, you might be lucky enough to have the beach almost strictly for yourself. The sugary white sands and azure waters of Casuarina do not fail to amuse the visitor. Snorkeling is popular in its crystalised waters and you can enjoy boat rides and diving adventures too. A little further inland is a sleepy fishing hamlet. 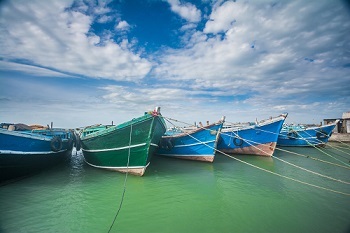 So, you can also spot colourful fishing boats moored nearby. Getting there: Drive along the Jaffna-Karainagar causeway towards the Karainagar islet (about 22 km). On its northern end is the Casuarina beach. Minutes away from the hyped beach town of Unawatuna, lies the secluded Jungle Beach in Rumassala. The beach is hidden in the lush greenery offering striking views of the Rumassala forestry. With soft sands and shallow waters, Jungle Beach is one of the most sensational stretches in Sri Lanka. 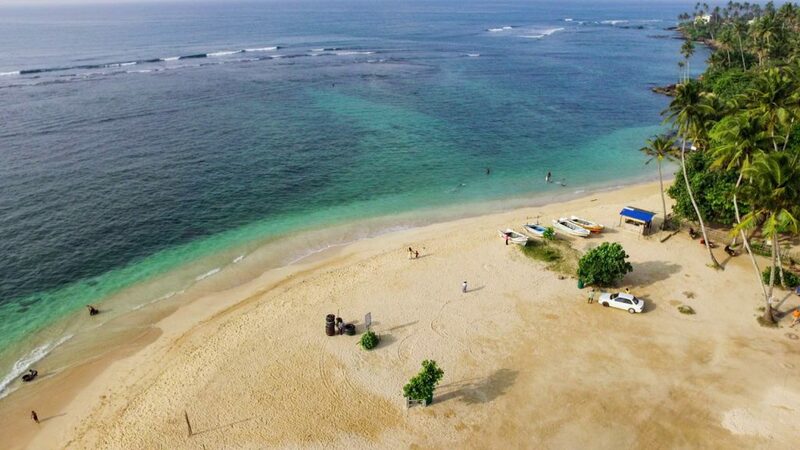 It is a peaceful uncrowded spot ideal for swimming or even enjoying a picnic by the beach. After enjoying stunning seascapes, pop into a restaurant and dine on the catch of the day. Do not forget to have a quick chat with a local if you are interested in exploring the mythical story behind the countless medicinal herbs still found on a hill in Rumassala. 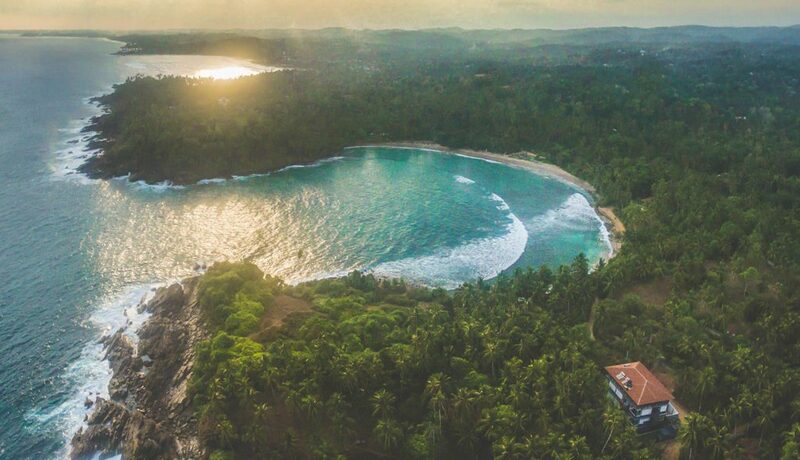 Hike up the Rumassala cliff to catch striking views of the Galle Fort. The sunset here is spectacular. Getting there: It just a pleasant, hilly 2 km walk from Unawatuna (access by road is only via a side lane from the highway). You can also catch a tuk-tuk from Unawatuna. The waters at Marble Beach remain unbelievably calm and as clear as a shard of glass. The atmosphere here is so still that it gives you an illusion that you literally own it. The untouched, pristine beauty of Marble Beach makes it one of the best beaches in the country. 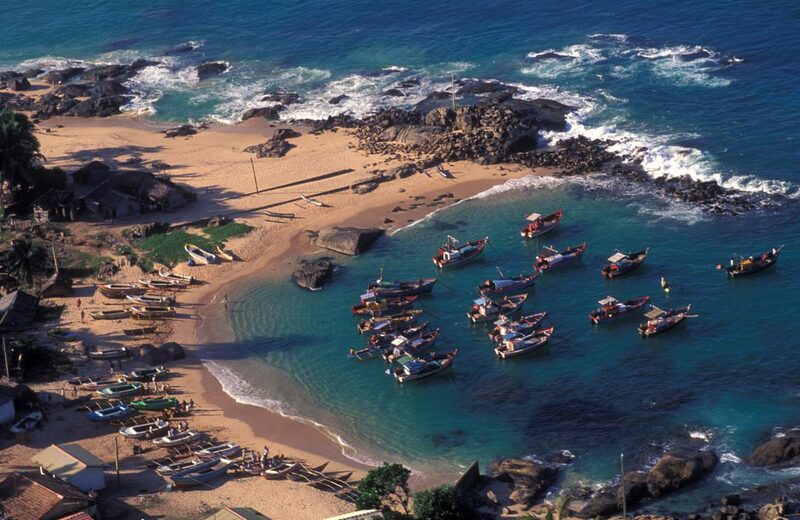 Nestled in Trincomalee, the sea here is home to large schools of tropical fish. Snorkeling is one of the famous activities at Marble Beach due to the fascinating sight of multi-coloured fish swimming in great doves. 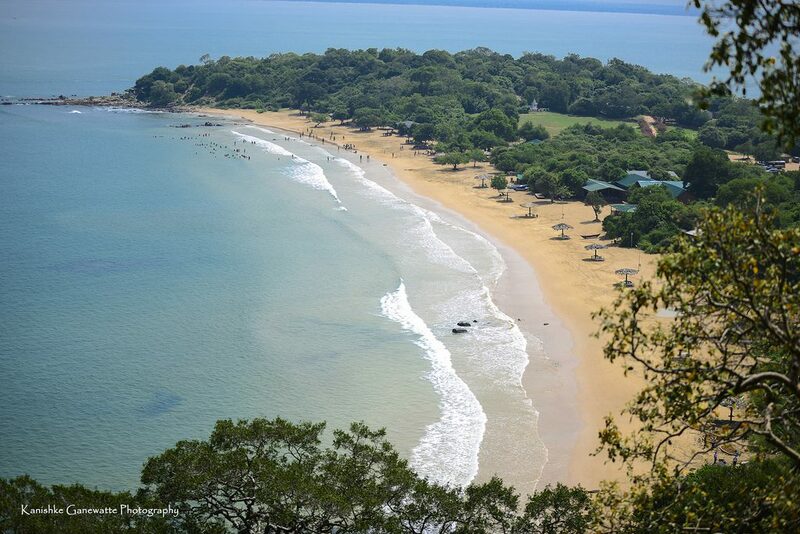 Go up the close by Diamond Hill to witness a mind-boggling panorama of the entire Trincomalee bay and beyond. Getting there: Approximately 17 km south of Trincomalee, there is a turn-off on the left for Marble Beach. This is hard to miss as it is signposted just before the Kinniya bridge.